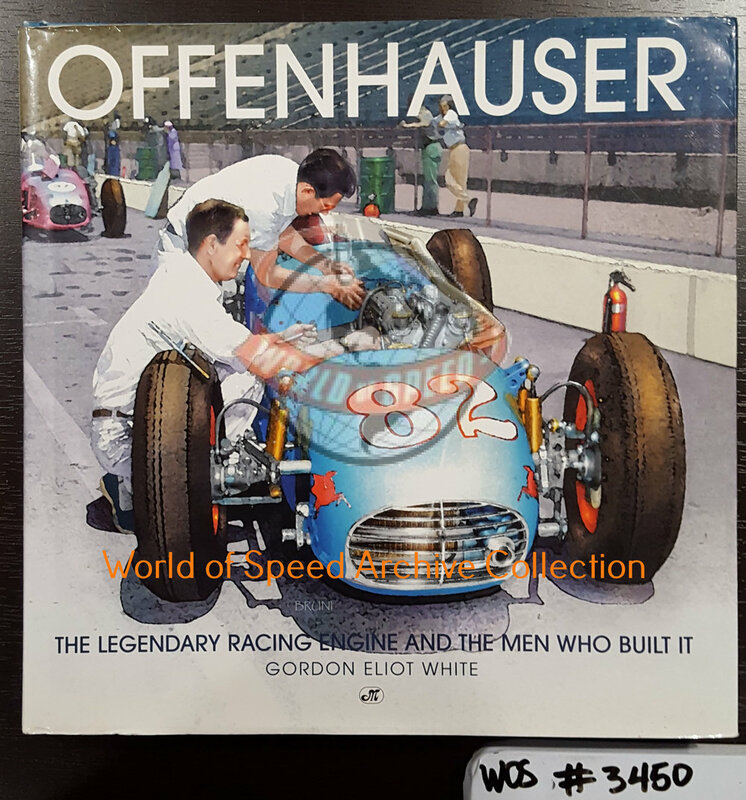 Our books are available to all Archive Room visitors who are interested in flipping through the pages whether you want to learn about the your favorite race car or those in the gallery, to look up legendary heroes, to find a stat, or to peak into history. Don't forget, members now have the option to reserve books online and check books out from the Archive Room. Richard Huff gives voice to the realities of NASCAR teams striving to reach victory lane after spending the 1991 season as part of the Hagan team with the return of 1984 champion Terry Labonte. What Huff found was the realities of constant testing and altering, the stresses and strains of performance, the often harrowing work to find an edge, and the unravelling of a team as they pushed for greatness. Racer Jackie Stewart shares a selection of journal entries over the course of 1970, the year after he won the World Drivers Championship, when he was left without a competitive car due to racing politics, and his two best friends Jochen Rindt and Piers Courage were killed while racing. In his writings, Stewart faces himself to understand why he is compelled to risk his life in a quest for victory. 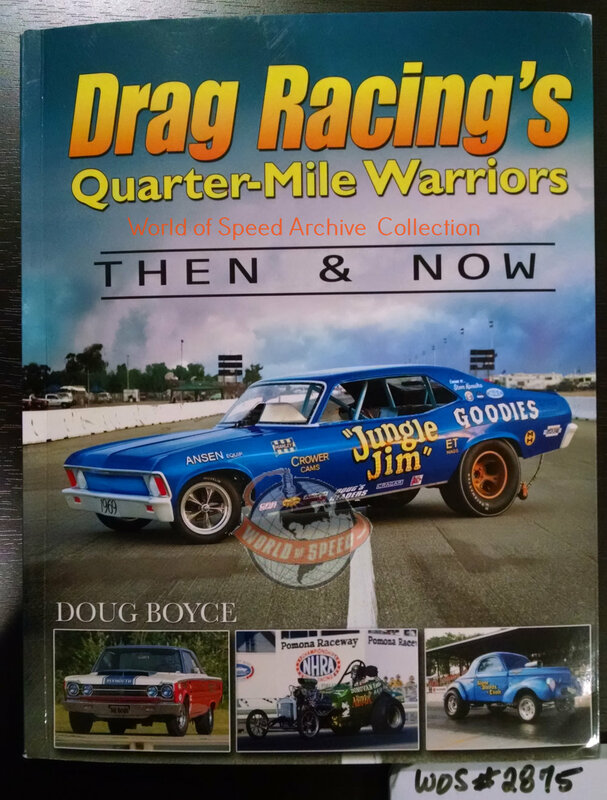 Boyce covers over 75 vehicles under the headers “Diggers: The Top Dogs”, “Funny Cars and Not So Funny Cars”, “Rockin’ Pro Stocks”, “The Wild Bunch”, and “Door Slammers Galore”. Easy to read, Boyce includes stories, stats and images for cars such as the Assault I, Syndicate Scuderia, Chi-Town Hustler, Grumpy’s Toy X, Jolly Dolly, Lil Screamer II, King Kong, Lightning Bug, Old Reliable II, and Granny Goose II. White traces the glorious history of the most renowned American racing engine of all times starting with the early dances of Harry Miller, through Fred Offenhauser and to the final days under Meyer & Drake. Supported by over 280 images, White tells the definitive story of the designers, machinists, and drivers who created the Offenhauser legend and the six decades of successful reign over American auto racing. Part of the pulp fiction Wynn and Lonny Racing Books series produced for grade school and young adult readers during the 1970s, Speed continues with a fascinating and fun tales of Wynn and Lonney who are on a quest to build a Formula Vee. Trials and tribulations commence as they push to compete on the southern tracks and after a series of mishaps and even sabotage, make it to the Road Race of Champions. Virtually all aspects of motorsports from bore to torque, to speed, involves mathematical calculations. Lawler covers piston speed, weight distribution, g force, shift points, compression ratio, weight distribution, and more. This is a great resource for those without advanced mathematics or as a primer of performance fundamentals. Most can be done on a regular calculator, all on a scientific calculator. Ready to get your motorcycle ready and looking its best? Jacobs walks through each part for your motorcycle with easy directions and photos from initial tools to how to best detail your engine, exhaust, wheels, frame, stand, fenders, windshield, fuel tank, lights, and even seats, saddlebags and accessories. There’s also great tips for how to keep your bike looking its best in between the deep cleans. Legate dives into the unexpected partnership between Carroll Shelby, AC Cars, and Ford Motor Company to create the Cobra. The use of Ford’s V8 engine annihilated the competition and by adding aerodynamic bodywork, the Dayton Cobra arrived in Europe and won the GT category of the FIA World Championship, making it the first and only USA-based manufacturer to achieve the feat. Here is their story!